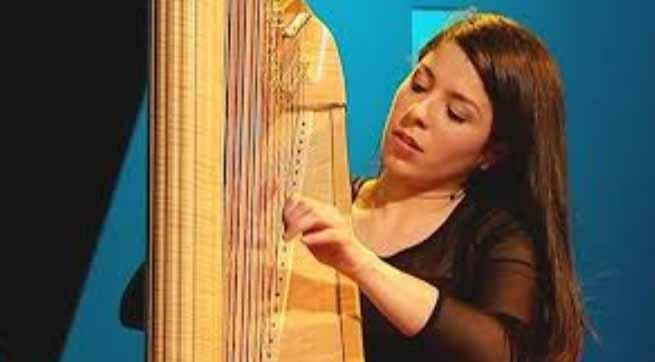 Still aged only 26, the ambitious Belgian harpist Anneleen Lenaerts constantly transcends barriers and is currently causing sensation in Austria as one of the leading soloists on harp. In December 2010 she was appointed Principal Harpist of the Vienna Philharmonic. 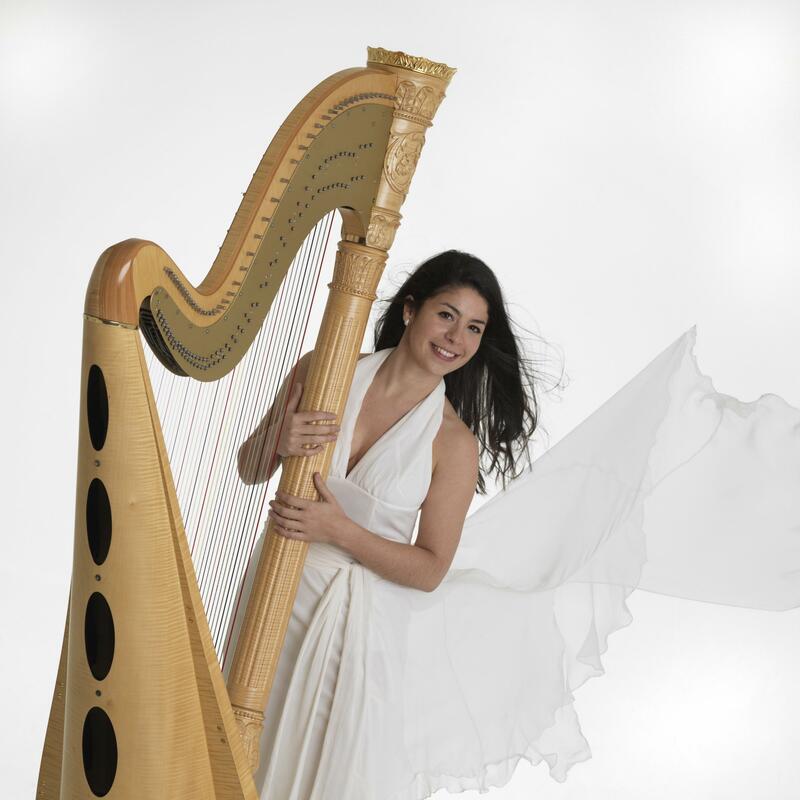 From an early age, Anneleen Lenaerts started gathering a wealth of prizes at international harp competitions in Belgium, France, Austria, Hungary, Spain, Germany and the USA. And now, being only 26, the flamboyant Belgian harp player has reached the highest level in music and flourishes in Vienna, the world's musical capital, centre of classical music and opera tradition. Anneleen Lenaerts (born in 1987, Peer, Belgium) feels most privileged to work and live in Vienna, but she remains herself. She is quite happy with the development of her career, but she doesn't exactly live in a fairy tale. Playing 4 to 7 evenings in impressive Vienna operas, without rehearsing with the orchestra or opera singers, and touring with the Vienna Philharmonic through Austria and distant continents, gives her satisfaction, but it also requires a lot of her. Life for a top harpist at the highest level can be very demanding: hard working, studying and also lonesome. However, her passion for music and being able to perform in a world-class orchestra, are rewarding compensations. But to think that a star harpist in a snow-white idyllic country like Austria, would lead the life of a princess, skiing and partying all weekends, is not reality. But she doesn't complain. She realizes she has reached the highest level in the musical world and that puts her in a favourable, exclusive position. Playing for one the most renowned orchestras and in the setting of the opera house in the world, in a city where famous composers like Mozart, Haydn and Von Beethoven have lived and worked, has become her daily life now. Anneleen: "I live in Austria for almost 2,5 years now. It is fantastic to work with the Vienna Philharmonic, a great honour of course. I would say: you can't get any higher than this. These are really world class musicians. I am very glad I'm able to play here. The Vienna Philharmonic is renowned for its traditional New Year's concert, which is broadcast every year on January 1, and watched by millions of people. In the beginning I had to get used to a lot of things. The language, the habits, my colleagues. It took a while to get settled, but it is going a lot better now. The Vienna State Opera is a beautiful opera house, with a long tradition. The Vienna Philharmonic arose from the orchestra of the Vienna State Opera. There are operas every evening, so we play a lot. Most of the time 4 to 7 evenings a week I play in a opera. Fortunately we have a second harpist, Charlotte Balzereit, who is a renowned harpist and is engaged by the Vienna Philharmonic since 2001. Sometimes in an opera two harpists are required, so then Charlotte and I play together, but most of the time we play in turn. While I play at the opera, for instance, she could be travelling with the Vienna Philharmonic to other countries, or the other way around, while she is playing in Vienna, I could be travelling with the orchestra or touring as a soloist for my own career." Astonishingly, Anneleen Lenaerts was admitted to the Wiener Philharmonik at the age of 23, after a tough audition, an incredible achievement for a young, Belgian country girl. And now, only 2,5 years later, the promising harpist works and concertizes and sometimes even dines with the world's greatest virtuosi of the musical firmament, both instrumentalists and opera singers. To Anneleen Lenaerts such a musical climate must be a 'bath of musical delight'. Anneleen: "We are constantly working with the world's best soloists and conductors, and I find it a privilege to be part of that world and to make music with them." Anneleen Lenaerts enjoys the revolution in her musical life. Most concentrated, indescribably galant and sovereign, she plays her music and moves among the greatest musicians of today's classical world. As if she is already one of the Greatest of Music herself. Enchanting both public, orchestra and conductor with her natural, subtle and refined harp play, an instrument that stands alone in the musical scenery and consequently gives the harpist an outstanding opportunity to excel. Anneleen Lenaerts, an adept at both piano and harp, entered the musical world of Vienna self-conciously, audaciously and with a certain degree of modesty. Discipline and diligence, she knows, are the most important qualities that keep her on her feet in this prominent musical environment. Anneleen smiles innocently, and follows her own path. "When words leave off, music begins," German author Heinrich Heine said, an Anneleen Lenaerts is very much convinced of that. As a prodigy, Anneleen started playing the piano at eight and the harp at nine. Playing two instruments in the same period and reaching a high level in both of them, is out of the ordinary. She finished the last two years of her studies at high school by teaching herself, and then obtained 2 bachelors and 3 masters within a period of three years at the Royal Conservatory of Brussels. Before studying in Brussels, she played the piano, studying with her teacher Ann-Marie Beks in Neerpelt, who has studied piano, harpsichord and chamber music and Anneleen also took harp lessons with Lieve Robbroeckx at the Academy for Music, Words and Dance in Beringen. Her former harp teacher Lieve Robbroeckx (1949) still teaches harp both to young children at the musical academy in Beringen (Limburg) and to university students at LUCA-Lemmensinstituut in Leuven. 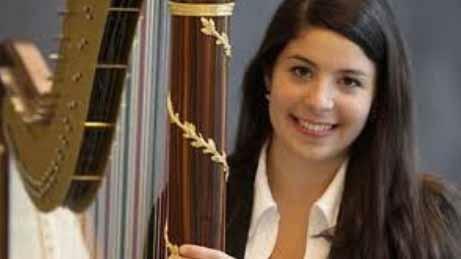 She clearly remembers Anneleen who knocked at her door at the age of 9 to get harp lessons. Lieve Robbroeckx: "Her parents brought her to me and every week she got a harp lesson of half an hour. Besides that, she also took private lessons. Anneleen, of course, was what you might call 'a special case'. Normally young children study harp at the academy from the age of 9 till 18, and then they go to the conservatory. However, Anneleen was far ahead of other students. She finished much earlier and at the academy she already played difficult compositions that are in fact played at conservatories. Already at the age of 17 she passed her finals at the academy, while other students normally take their finals at the age of 19." Lieve Robbroeckx: "When Anneleen starts to play, wonderful music is created." Lieve Robbroeckx continues: "After that she studied with me one more year in a kind of Young Talent Class in Leuven, at the Lemmens Institute and then she went to the Conservatory in Brussels, where she studied with the famous Jana Bouskova. When she came to me at the age of 9, she already played the piano. As a little girl she was musically highly-gifted and intelligent, she had a good musical intuition. Although she was a shy and very polite girl, she had perseverance and was very ambitious. She understood and 'felt' the melodies immediately. She absorbed music very quickly. And I inspired her by taking her to congresses, concerts, competititons and, for example, to the World Harp Festival in Prague. Nevertheless you always have to be very careful with such a talented student. I did not give her too many difficult pieces. And although being very talented, she still was a child, so you have to give her a lot of material and pieces, but always at a certain level. I sometimes see children of 11 years old being given difficult concertos, which they can handle technically, but a child has to be ready for that. That is the process of becoming mature." " I always demanded of her that her musical pieces were perfectly finished off. Anneleen was always prepared for a concert for 200 per cent. That is most important and that is a quality which eventually has brought her the success in the position she now has. Anneleen was a very natural harp player. It seems as if she was born for the harp. But she could have been successful on any instrument. When Anneleen starts to play, wonderful music is created. That is a gift. She also wanted to play the clarinet, I think she would have reached a high level in playing the clarinet as well. She feels music. She also tried to compose music at an early age and on one of her solo CDs she has made arrangements of Liszt and Chopin. It doesn't surprise me at all, because Anneleen is good in everything related to music. She has the advantage that she can play all musical styles. Her predecessor in the Vienna Philharmonic was Xavier de Maistre, he was also very talented. He found it very demanding as well to play in such a prominent orchestra and combine that with a solo career. Eventually I think that kind of talented musicians will go for a solo career, like Xavier did." After her studies at the music academies, she went to the Royal Conservatory of Brussels, where she studied harp some years with the famous Jana Bouskova and at the 'école normale' in Paris with Isabelle Perrin. She also studied counterpoint and fugue with Rafaël D'Haene and was assistant harp teacher at the Conservatory of Brussels at the same time. Anneleen now forms a duo with Karel Schoofs (oboe) and also wih Dionisys Grammenos (clarinet). Besides her studies, she took master classes with, among others, Susanna Mildonian, David Watkins, Susann McDonald, Isabelle Perrin, Erika Waardenburg and Marielle Nordmann. Anneleen Lenaerts is one of the most awarded harp players of her generation. Three times she won the first prize in the Felix Godefroid Competition in Namur: in 1997 at the lower level, in 2000 at the intermediate level and in 2003 at the highest level. In 1999 she participated in the Lily Laskine Junior Competition where she was awarded a ‘most promising’ prize. In October 2000 she was the winner in the academy level of the Second Competition of the National Harp Foundation in Brussels. From 1997 till 2009 she won 17 prizes at national and international harp competitions, of which the 'Grand Prix Lily Laskine', one of the most prestigious harp competitions in the world and the 'Internationaler Wettbewerb der ARD München', where she was a prize winner and the winner of the Audience Prize, are particularly outstanding. 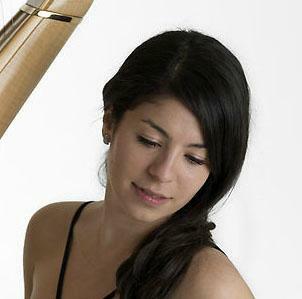 In 2004 she received the YoTam Prize (Young Talented Musicians) from the Flemish Government in 2004. In 2006 she was awarded the Prix Culturel International de la Jeunesse by the governor of Basse and Haute Normandy together with the Cultural Commission of the Lions Club, Deauville. In 2007 she was awarded the Mathilde E. Horlait-Dapsens Artistic Foundation Prize, in 2008 the Lunssens and Van Straelen Prizes for her remarkable results at the Conservatory of Brussels, and in 2010 she became a laureate of the Paris Fondation Groupe Banque Populaire. Recently Anneleen was awarded the Belgian Radio Prize for Young Promising Artists and became 'Cultural Ambassador' of her home town Peer. Anneleen Lenaerts performed at international competitions and in most European concert halls.